Accurate Psychic Readings -- Guidance or Guarantee? So Psychics Guarantee Your Future? I’ve spent a good many years providing accurate psychic readings, tarot and numerology readings. Most people have their own perception of what a psychic really does based on exposure be it on television, something they’ve read or even actual experiences. I have found that many of the ideas that many people believe are not only diverse but also are not actually accurate perceptions of what a psychic reading is or is supposed to be. I learned something very valuable when I briefly did readings on a website that offers thousands of psychics available around the clock. I found that some seekers of psychic advice are very intent on knowing exactly what is going to happen in a particular situation or experience they are living through. They call with the idea that I can tell them anything they want to know and they believe somehow a psychic reader will be able to tell them exactly what will happen, with whom, and the date on demand. A psychic reading is a spiritual connection through which accurate psychic readings brings forth insight, real truthful answers and guidance. The Source of this information is what makes a psychic special. Special in that they were born with extra sensory ability that is a talent that is more pronounced in some people than in others. Much like any form of talent or ability is a natural gift. Except in this case, they are especially sensitive to information they receive in the form of visions or pictures, words or sounds, and feelings (the feelings of others). Very few are uniquely qualified to answer the questions you seek. Some psychics style of reading is to just get impressions from your energy regardless of your questions. This does not minimize their talent, it just means you have to understand the gift of the psychic you are working with. Getting their genuine impressions can provide some information, but, perhaps not the specific answers you are seeking. There is no fixed talent or gift when it comes to people who use psychic/intuitive gifts to connect to spiritual sources to bring down needed guidance/answers. Meaning spiritual gifts are expressed in many different ways unique to the individual. For instance, a person who is a medium connects with the spirit of the dead. All psychics are not mediums and all mediums are not psychic people who can answer questions and provide “guidance/specific answers” directly from a spiritual source. That spiritual source is not necessarily the spirit of a dead person. Messages, of course, can come from a departed loved one, but for the purposes of a psychic reading where you are not trying to reach someone who has crossed over but are dealing with problems or obstacles in specific areas of your life, we are not talking about psychic mediums. However, some mediums may be able to answer specific life questions. The talent and ability of any psychic is based on 1) what they were born with, 2) how they have chosen to develop and use their gift (their intention). This is going to be unique for each individual. So decide on what kind of information you are looking for, then set out to find the right psychic for your particular needs. Answers about love and relationships are the main focus of most peoples’ questions. Do you want to know the truth? A real psychic is about the Truth. Not as they see it, but as they receive it. You basically need to know a little about the psychic you are talking to in order to trust in their reading. Have some familiarity with how they use their gift and what their strength is. This will give you a more trusting feeling and will help you get a more accurate psychic reading because you, the client, can have an affect on the information that is received by your psychic. You must come into a reading in a relaxed state of mind. It does no good for you to be anxious or upset. I personally do not read clients if they are extremely upset or crying. This is because when I read your energy, obviously if you are very emotionally disturbed at the time of your reading, those emotions are definitely going to affect how clearly and easily I can connect with your rhythmic flow. It’s like hearing a lot of static when you are trying to tune in to the whispers from Spirit. A psychic reading is a place of calm where you can find clarity, guidance and peace. Be prepared. All these factors play a role in getting an accurate psychic reading. Now I’d like to get back to my experience working on a website that provided psychic reading services. I found that on large websites many people will call several psychics about the same subject matter. I definitely make it clear that I am a truth seeker and will only provide the information I receive when asking questions for which you need immediate answers. I found that seekers who called me already thought they knew all the answers before calling me. That those ideas sometimes turned into beliefs even if they are incorrect. The danger of that when you are seeking the truth, is if you think you already know the answers and then when you are told something that differs from what you think you already know, then you, the seeker, can leave feeling disappointed and sometimes very angry because it was not what you wanted to hear or already believe or want to believe. Readings that differ from what you want to believe can sometimes bring about disillusionment. I found that there are people who think they want to hear the truth, but in actuality they are not ready for the truth. Obviously, I felt that this put me at a unique disadvantage not being able to dispense the truth at the risk of angering the client. That is why today I work as a sole practitioner only taking clients who are ready for truth, growth and empowerment. There is no question that many, many callers want, need, wish for their desires to manifest. All of us want something good to happen to us in our lives. Some of us are more prepared for disappointment than others but there is not doubt that seekers are looking for a guarantee that they are going to have what they desire. The guarantee is related to the fear that we will not have what they want and therefore the psychic becomes an instrument of providing false hope to help you feel better for the moment. Some may see this as unscrupulous others may see it has being compassionate. You, the seeker has to decide if the truth will serve you better than false guarantees. We are all guilty of feeling a little needy at times and instead of facing life’s obstacles straight on, we sometimes find it easier to reject or deny truth when in actuality it is the right medicine. So psychics are not able to guarantee you your future, firstly because you are creating it as you go. Where you find yourself in your life at this very instant is what YOU have created. No one can foretell every choice you will make and thank goodness for that. We need free will choice so that we can make desired changes and manifest. If everything was fated, then we would all be robots with no reason to exist except to act out our lives in accordance with some invisible force controlling us. One of the greatest things about life is the ability to choose ones path. Make no mistake karma is real. And there are consequences to our actions. Many things can be known from a psychic. You cannot expect that a psychic will know everything because a real psychic will not ever be able to see or know everything because they are restricted from certain knowledge. A perfect example, recently I did a reading for one of my regular clients regarding what she could expect at a certain upcoming event. Although I could see accurately some details (as she confirmed later), there was a specific thing I was not shown at all whatsoever. And as we were talking subsequently, I realized and told her, if I had seen that in advance, what happened would have never happened with a certain individual. If she had known in advance, she would have changed it in this case!! Most certainly, but here is where the Universe steps in and prohibits certain knowledge so that certain things that are to take place, actually take place. Do not give a psychic all-knowing status. It does not exist whatsoever. Never has, never will. Our earthly consciousness is limited by being in the physical body. Know the special talent that the psychic you are calling has transcends some of these earthly restrictions because their life’s purpose is to bring forth messages from Higher Consciousness. But do not require or expect that your psychic can guarantee you will be with another or tell you the exact date you will have what you want. What you are doing is expecting your psychic to provide you with instant gratification but the Universe is in charge, not your psychic. No psychic can operate above the spiritual principles that governs us all. And the Universe is not going to guarantee the date when you will have exactly what you want unless it can be known and is not restricted. Seek guidance, real psychic readings coming from Spirit connections. Hear the messages that you are meant to know and do not reject them. Real psychics want to do their work and help you but they are not here to give you false hope or guarantee your future. Try not to force this with a psychic as you are not helping yourself. 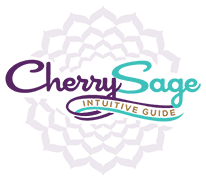 Author: Cherry Sage has a proven track record for providing accurate psychic readings, tarot and numerology readings for nearly 14 years (since 1999). She believes that real psychic readings are what seekers really want and is reflected by her loyal client base in hundreds of genuine reviews on her website. 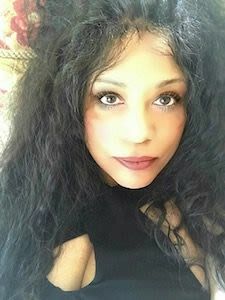 Cherry specifically deals with answering questions regarding love, relationships, career and your life’s blueprint. Call Cherry for precise, accurate details as well as accurate predictions. Visit http://www.cherrysage.com.